The sickening moment young girls were attacked by a group of thugs while out Christmas shopping for their parents has been caught on camera. Sasha, 15, and Jaz Ingall, 13 were with two friends when they were attacked near Pacific Fair shopping centre on the Gold Coast on Thursday. The shocking footage shows a friend of the two girls being kicked and punched by three others as she struggles to escape. A girl can be heard laughing at the attack off camera. 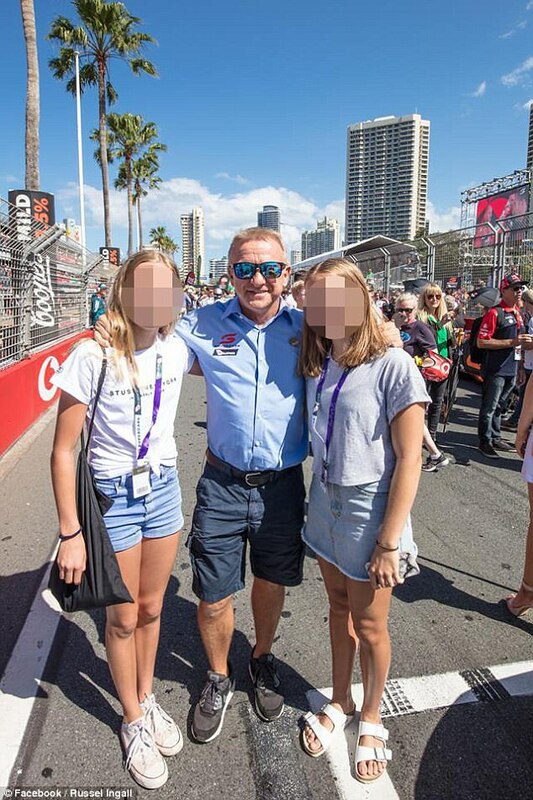 Sasha and Jaz are the daughters of V8 Supercars racing champion Russell Ingall. 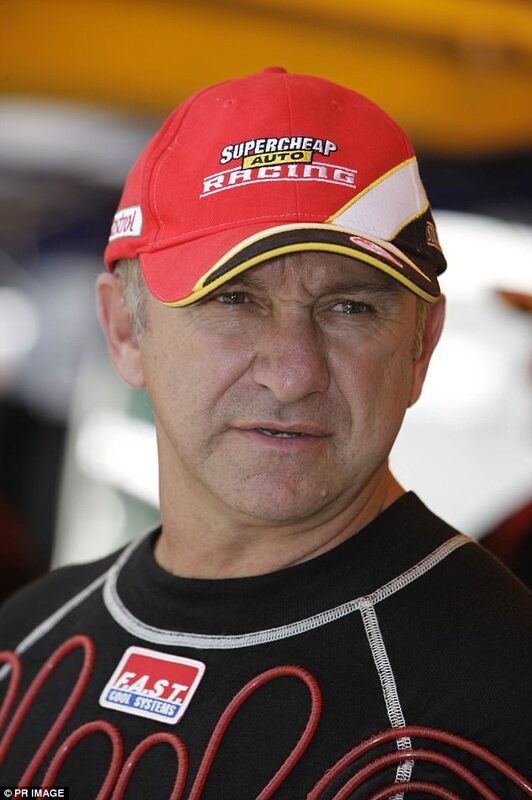 'I've done some pretty dangerous things in a race car over my time… I've never been so scared [when] I got a phone call from my daughter who was being attacked by a group of thugs,' Russell Ingall told A Current Affair. The girls have said they'll never catch public transport again. Ingall said being told about the attack by one of his daughters was 'the most harrowing call I've ever got in my life'. 'The girls were absolutely traumatised,' he said. He said more needs to be done to stop similar attacks happening again, and he still feared for his daughters' safety. 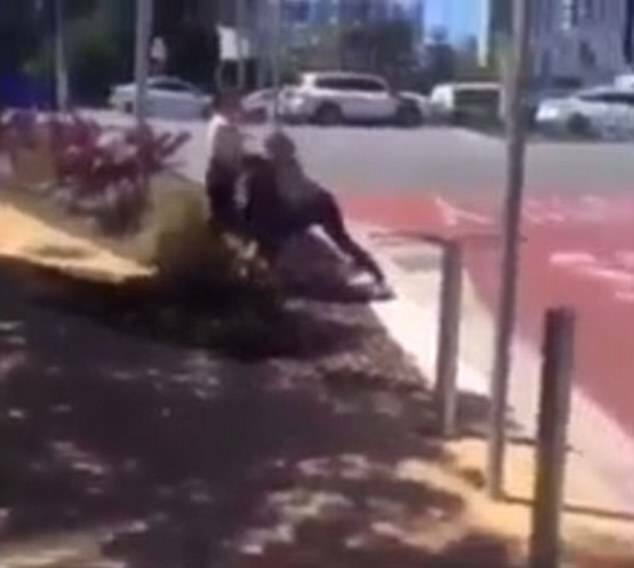 Video of the attack was uploaded to an Instagram page that shares fight videos, according to the Gold Coast Bulletin. Gold Coast Acting Chief Superintendent Craig Hanlon said operations were being prepared to keep passengers safe on the tram line. 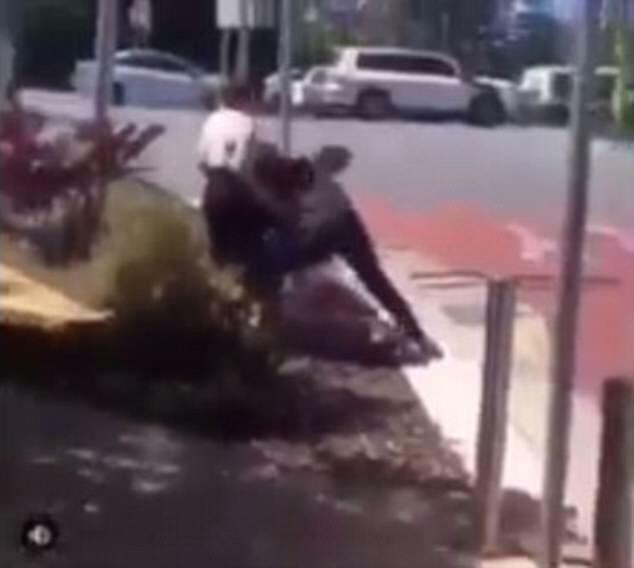 Gold Coast mayor Tom Tate played down concerns of violence on public transport in the city.